Wellington is today known in the world as the coolest little capital. The area is also known to have some of the best cafes and restaurants in the world. 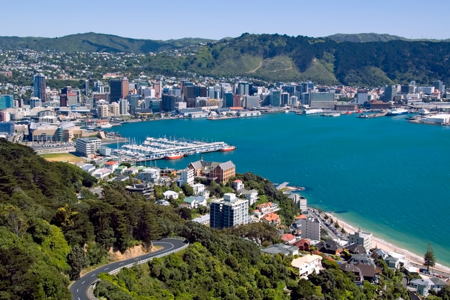 Most people in Wellington enjoy the rich outdoor setting that it has and the beautiful scenery that the area has. Since a majority of people in the Wellington area love outdoor activities, most of the containers in the area have served as workshops, studios, storage facilities, site offices and portable toilets. Welling shipping containers are available in different shapes and sizes. The sizes that are commonly sort after are 10ft, 20ft and 40 ft.
Wind, water and rodent resistant. Since most of the activities that are done in Wellington are normally done outdoor, shipping containers provide space for any kind of activities since they are portable and can be placed at any location where they can function as a shelter or a stage. This is ideal especially for the performing artists who are constantly looking for a place where they can perform or showcase their talent especially those who find that the theater is not the place to show their talent. Wellington shipping containers are used for businesses such as small cafeterias, and places where one can sell ice creams and coffee. The containers have also been designed to meet the office requirements like workshops and studios. The portable containers are used for sporting actions, for accommodation, they also serve as training facilities, retail outlet and office. These containers have also been customised to meet any kind of storage requirement like refrigeration or for storing hazardous goods and they are available in different sizes. Many storage problems have been solved over the years through such a solution. The reason why most people have like Wellington shipping containers is the fact that they are durable and are also of a high quality. This makes them very ideal for any kind of office work, in fact, most people use them as for sales, others have used them as workshops and studios because they are durable. It is also important to note that due to their durability, they can be customised to any format that can meet the expectation of the business person or consumer. Many have purchased these containers and developed them into their temporary homes. They are also good for storing materials or items especially in a case where the person does not have enough space to store his items.